In the book of Ecclesiastes God says to man, “I know you're going to search for in life in things of this world. 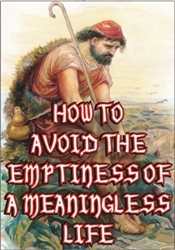 I want to show you that this has already been tried and what the result was, and what the result will be for you if you try it.” Solomon may have been the wealthiest man to ever live, but with all his wealth and wisdom he could not find fulfillment in life apart from a proper relationship with God. 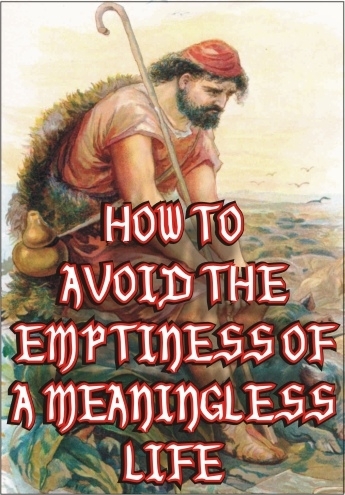 Over and over he called his worldly search “vanity” and “vexation of spirit.” He was describing his emptiness and the meaninglessness of life when a man simply chases the wind. After all, if you catch the wind, what do you really have in your hands to show for it?! Young people need to realize that hard work and study and going to church will not destroy them. But too much idle time and entertainment will! Meaninglessness is not the result of too much pain; meaninglessness is the result of too much pleasure.